It has long been a Stone family tradition to head into the north woods and gather balsam bows to make Christmas wreaths for friends and loved ones. In a way, we’ve always been “green,” respecting our beautiful trees and working to help them grow tall and healthy. 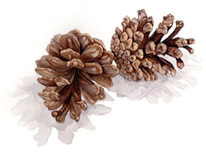 The boughs we use for our products come from tree pruning, not harvesting. It’s been our tradition to care for our customers and our trees for over twenty years. Today, we are proud to share the joy that each Stone Family Christmas Wreath brings. 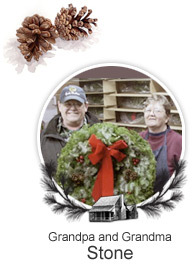 We offer fresh Balsam Christmas Wreaths via mail-order, by phone, and on-line ordering to people all over the country. We hand-craft and ship your Christmas Wreath Fed Ex within 24 hours – or you can choose a date you’d like to ship. We guarantee our fresh wreaths and your complete satisfaction! 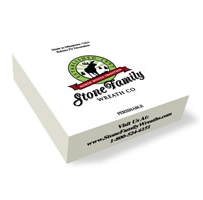 We strive to view each and every customer as an individual who wants the best for their family and friends.